Contact NatWest on their UK telephone number 03457 888 444 for customer service advice on your online banking, credit card, business current account and mortgage borrowing. Phone NatWest Bank on their customer service contact number 03457 888 444 to pay money into another current account via telephone banking. Similarly if you are having difficulties logging in to their online banking service as you have forgotten your username or password you can phone this helpline to get these reset. Their advisors will also be able to provide you with technical support when using their website if you would like to manage your overdraft limit by using their online systems. Please note that this number only applies to account-holders living in England and Wales, if you live in Scotland you should call their dedicated helpline 03459 000 200. 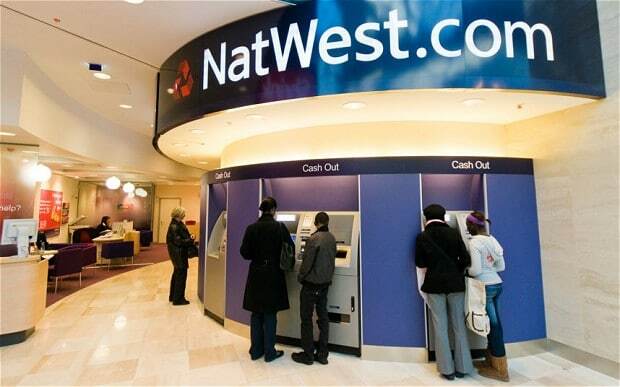 Calls to the NatWest customer service contact numbers 03457 888 444 and 03459 000 200 are charged at identical rates as calls to 01 and 02 area code numbers. This means you will be charged a per-minute rate that varies according to when you make the call as well as a set access fee which is determined by your particular provider. Alternatively you can contact NatWest for free on these numbers if you have free inclusive minutes as part of your landline or mobile tariff as these can be used to make calls to non-geographic 03 numbers. Lines are open 24 hours a day, seven days a week however an automated service is in effect outside of standard bank opening hours. 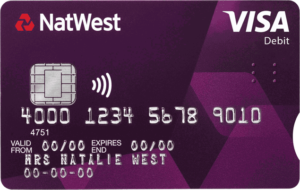 Contact Natwest about their range of Classic credit cards on their UK phone number 0370 333 9091 to enquire about the APR interest rates which affect your regular repayments, to extend your credit limit and to perform a balance transfer. One reason why you would do this is to pay off your debt early, therefore you should call this number to get advice on how to do this. By contrast if you are struggling to make your regular repayments you can call this helpline for impartial financial advice. Please note that if you are a Gold or Platinum customer with NatWest credit cards you should examine the table below to find the correct phone number for you to call. Call NatWest for free on their freephone contact number 0800 092 9585 to apply for a mortgage, increase your borrowing term or to pay off your debt early. If you are an existing customer you should call this number to notify NatWest that you would like to move property so that they can change your financing agreement. Similarly if you would like to remortgage your existing home you can call this number to find out how much you will receive and how long you will have to pay it back. You should also dial this helpline to discover if they offer preferential rates for first-time buyers. Lines are open from 8am-8pm Monday-Friday and 9am-4pm Saturdays, so please be aware you will not be able to phone this team on Sundays as well as UK bank holidays. Contact Natwest on their local-rate telephone number 0345 366 5502 for general enquiries about their range of loans. For example you can call their friendly staff to check the interest rates which will affect your regular repayments, where you can also notify them that you are struggling to keep up with repayments due to financial difficulties. By contrast you would like to pay off your loan early you can do so by setting up a balance transfer, which you can do by calling their helpline. Alternatively if you would like to apply for a loan with Natwest you can call their freephone applications helpline 0800 200 400 for free from any UK landline or mobile phone. Phone Natwest on their freephone contact number 0800 051 5450 for free to get a quote on your home insurance and to renew your previous house cover. If your home has been beset by an emergency such as fire, flooding or theft you can also phone this number to make a claim on your policy. Furthermore if you have acquired valuables that you would like to insure under your contents cover you can call their personable staff to update your policy. You should also call this helpline if you are intending on moving home so that they can transfer your policy to your new address, however this will affect your regular premiums. They also have a 24-hour emergency advice team which you can reach by calling this number who will then advise you on temporary accommodation and keeping your family safe. Phone NatWest Bank life insurance on their freephone contact number 0800 068 2161 for free to get a quote for your mortgage protection, to change the lump sum amount your family receive after your passing and to renew your previous policy if it has expired. In the unfortunate case that a loved one has passed away you can call this helpline for assistance with the probate requirements for making a claim on their life insurance policy. If you require the use of textphone or minicom services as a result of hearing difficulties or a severe speech impediment you can call their dedicated helpline number 0800 404 6161 to type your life insurance enquiries. Phone Natwest to report your cards as lost or stolen by calling their dedicated contact number 0370 600 0459, which is open 24 hours a day seven days a week. This is the emergency helpline for both credit and debit cards so please do not hesitate to call them once you know your card is missing so that they can prevent it from being used fraudulently. You can also call this helpline to get an update on the progress of your replacement card and for information about how you can make withdrawals at your local NatWest branch. Contact NatWest for free on their freephone number if you suspect someone has fraudulently accessed your current account details, for example if there is an unexplained payment on your bank statement. Their specialist team of security advisors will then review your case and award you adequate compensation if the criminals have managed to spend money using your account. Alternatively if you would like to report fraud on your personal or business credit card then please call the appropriate number from the table below. Speak to a Natwest business banking advisor on their telephone contact number 03457 11 44 77 where you can view any outstanding debts on your account, pay your creditors and notify them that your company is moving premises. Similarly if you would like to change the nominated representatives on your business account you can call this number to get advice on how to do this, however you will require written confirmation from all signatories currently named on your accounts. This helpline is open 24 hours a day, seven days a week to allow you to check your balance and perform transfers at any time of day. If you are overseas then please call their dedicated international helpline +44 8705 11 44 77 if you wish to manage your company finances from abroad. Contact NatWest on their private banking phone number 0333 202 3330 to consult with your personal finance manager about your investments, savings and for general account services including balance transfers. If you are interested in the benefits of their private funds then you can call this number to see if you are eligible for private banking services. Alternatively if you are abroad then you can call their private banking international contact number +44 161 933 7239, however please note that this will cost more than making the equivalent UK-only call and that the exact cost will depend on which country you are calling from. Like many major banks NatWest now offer a number of ways you can contact them without having to stay sat on hold whilst calling their telephone helplines, for example they have email and postal addresses as well as accounts on some of the most popular social media websites. You can send letters to NatWest in the post by using their customer service address provided below, please do not include sensitive account information in your correspondence as this can potentially be used by criminals to fraudulently access your bank account. Send an email to NatWest by going to their UK support website, where you can also find the answers to frequently asked questions and links to their online banking portal. Use the links below to contact NatWest through their profiles on social media networks, where you can also find promotions for their latest savings rates as well helpful tips with using their telephone and online banking services.